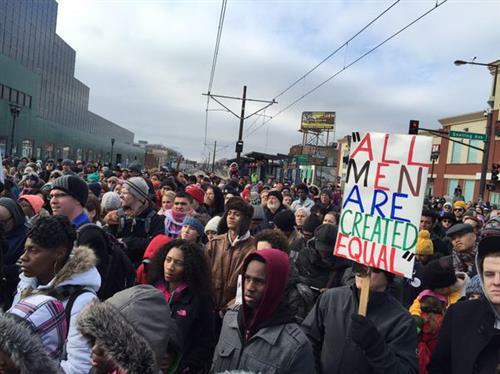 Metro Transit says Green Line service has been disrupted by the Black Lives Matter march. A crowd of thousands has blocked the intersection of University and Snelling Avenues in St. Paul. Consequently, trains are not able to make it through. Metro Transit passengers boarding Green Line trains east of Raymond Avenue station will be delayed. No word as to how long delays will be from the agency. Trains running between Raymond Avenue Station and downtown Minneapolis are on time, the agency said. Trains also are running between Union Depot and Rice Street.